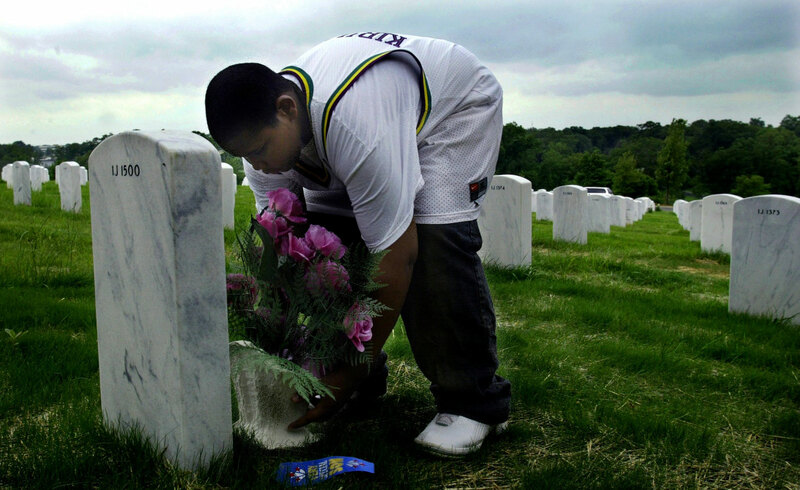 BURYING WARREN- Alex McClease, 11, visits the grave of his cousin Warren Allen, 18, who died in April, a year after having gastric bypass surgery to lose weight. "I need to make changes. I do not want to be in his position. I never wanted to be big," Alex says.